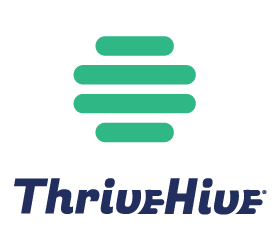 Looking for alternatives to ThriveHive? Tons of people want Marketing Automation software to help with automated email responses, landing pages and forms, and online behavior tracking. What's difficult is finding out whether or not the software you choose is right for you. We have compiled a list of Marketing Automation software that reviewers voted best overall compared to ThriveHive. Based on reviewer data you can see how ThriveHive stacks up to the competition, check reviews from current & previous users, and find the best fit for your business. HubSpot is a leading growth platform. Over 52,000 total customers in more than 100 countries use HubSpot’s award-winning software, services, and support to transform the way they attract, engage, and delight customers. Comprised of Marketing Hub, Sales Hub, Service Hub, and a powerful free CRM, HubSpot gives companies the tools they need to Grow Better. "#1 tool for marketing management and automation: When managing a project, Hubspot comes with a tool to highlight actions, by allowing the user to assign a number of points for each action, helping on the positioning of the brand and simplifying the process of getting visibility. Another thing is the support of Hubspot, one of the best support teams I have ever dealed with, giving fast and effective responses and being available all the time"
Leading Engagement Platform that empowers marketers to build brand value, grow revenue, and prove impact. "Great Marketing Tool: The shear intensity of the stage. "Out of the container", Marketo doesn't complete a ton. It requires watchful arranging, plan, redoing, designing, and so on to reflect how your business is organized and works. It took us over a year to completely send Marketo over our worldwide association. However at this point it's adjusted to how we go to Market (and how we give an account of our general viability), Marketo has turned into the center (and most dominant) Marketing stage for us. Vital to the majority of this is our very intricate lead lifecycle work processes that dole out, course, characterize and track the movement of any lead that progresses toward becoming showcasing qualified/deals prepared. The ongoing alarms - and the capacity to make these as nitty gritty as conceivable utilizing variable tokens - are what truly got us lined up with our Sales groups. It's additionally worth referencing that the quantity of energetic Marketo clients/clients is a piece of a dynamic and dynamic online network. The "Marketo Marketing Nation Community" - which is an enormous esteem include - comprises of numerous individuals who appreciate helping other people with their Marketo challenges, sharing prescribed procedures, impacting/forming the eventual fate of the Marketo stage, and generally speaking empowering all of us to interface with each other. What's more, every year, we as a whole have the chance to meet and system with each other at the astonishing Marketo Summit client gathering." Powerful B2B marketing automation featuring lead scoring, nurturing, email marketing and more. "I thought Pardot was a real marketing automation tool. : I still have to find something I like. I've used Eloqua and Hubspot in the past. I thought I was going backwards when I had to use Hubspot instead of Eloqua. That was until I got my hands on Pardot. Then I saw how behind Pardot is, even from Hubspot." ActiveCampaign helps growing businesses meaningfully connect and engage with their customers. Its Saas platform enables businesses to create optimized customer experiences by automating many behind the scenes processes and communicating with their customers across channels with personalized, intelligence-driven messages. "Convenient combination of CRM, Email software & Marketing Automation: It's convenient being able to directly send eblasts from our CRM. Reporting is decent, and all email responses, clicks and website tracking is linked to the contacts. It's also easy to resend a campaign with a few tweaks to the text or follow up language." 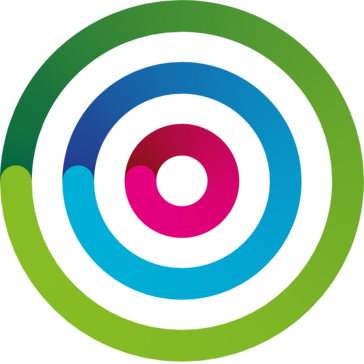 The Act-On Integrated Marketing Platform is the foundation for successful marketing departments in organizations of all sizes. "Hero to Zero: The newer functionality (landing page) is easy to use, however the rest of the system is old and needs bringing in line, other solutions are much more refined, significant Product Updates are via Powerpoint pipe dreams only." Web-based email marketing software that helps business owners to build permission-based mailing lists, maximize conversion ratios, increase profitability and build customer confidence. "One of the best programs to send emails: Getresponse is an incredible tool to do email marketing, in our company we use it to manage our entire list of clients and distribute in an organized way all our informative and promotional emails, usually the emails arrive or inbox or promotions which is very good and shows great quality in this tool, the percentage of reading and opening emails, Getresponse has a very intuitive and advanced email editor with good templates to create our emails, we usually use it to create promotional emails, you can also manage your contact lists and possible customers, I have imported them from any other data collection tool, on the other hand, regarding the price Getresponse is very kind because their plans in quality and price are excellent and they offer us a large amount of monthly emails for a really accessible price." Oracle’s B2B Cross-Channel Marketing solution, Oracle Eloqua, enables marketers to plan and execute automated marketing campaigns while delivering a personalized customer experience for their prospects. "Eloqua is a complicated configuration, but it helps me to do my job efficiently: Oracle eloqua I like it because it allows me to integrate and use the necessary email tools for a complete service to clients. The interesting thing about eloqua is that its forms have a high quality and shipping capacity. Because it is customizable, it allows me to adapt all the functions to each of my requirements." Autopilot is easy and visual marketing software for automating the customer journey. Marketers use Autopilot to acquire, nurture and grow leads into customers with personalized email, in-app messages, SMS, and postcards. "Autopilot - Very intuitive and visual! : What I like the most about it it how visual it is. I myself am a very visual person and even though I deal with automation, I simply enjoy how journeys are created, developed. Besides it's visual part, the support they provide, so far has been perfect!They are always available on chat and they are always fast to respond! Not because they have nothing to do, but because Autopilot is amazing out of the box!" "Love SharpSpring: - Pricing is great for reselling to clients. - All of the feature included have made the consolidation of products an obvious alternative for clients. - Customer support has been awesome! - Sales is more efficient "
Email automation doesn’t have to be complicated. iContact Pro helps everyday marketers work smarter with integrated platform tools, such as email marketing, workflows, landing pages, social media management, lead scoring, behavioral tracking, and analytics. "With Icontact Pro I market my digital products more easily: Apart from the fact that I market my digital products more easily, Icontact Pro allows us to obtain a free 30-day trial to start email marketing campaigns, something that other software does not allow. I can obtain personalized reports and analyzes in real time, email marketing audit, e-mail design tests, among other things very useful to market via email"
Drip is a marketing automation tool that allows user to craft every interaction with leads, trial users and customers like an artisan, send custom emails based on user behavior and automate marketing for a fraction of the price of the major players. "Great Automation with a Learning Curve: So many things! You can easily set up automated email campaigns based on a pretty in-depth tagging system. For example, you can sync with your website and email your subscribers any time they view a specific landing page. You can also set up workflows with multiple steps based on a user's interaction with your campaign. The possibilities are exciting. The email building tools are great for non-developers. You can easily add and remove images, text blocks, buttons and more without needing to code them using their template builder. The tagging system is pretty sweet. You can add as many tags as you want to a person and then segment your emails based on those tags. Importing information is pretty easy too." Bronto combines email, mobile and social messaging with drag-and-drop automation in one simple marketing platform that allows you to design and execute personalized campaigns. "Super-quick email-blast creation. : The speed and simplicity with drag & drop and content tags makes for quicker email creation." Email marketing software and marketing automation for SMEs, retailers, and big brands. 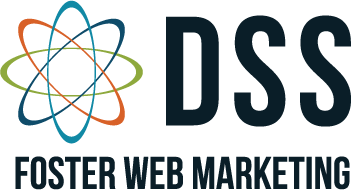 "Pretty Great, but Has It's Faults: I went from using MailChimp to using dotmailer. I was thrilled with the basic construction of emails and managing contacts. The fact that I could make blocks with different numbers of columns on the fly had me in love. It is very easy to construct an email and send it out. It took some time to get our automation set up but once they were up and running it has been great." IBM Watson Campaign Automation is a digital marketing technology provider that unifies marketing automation, email, mobile, and social. "Powerful, secure and reliable: The feature I like the best from WCA is the lead management system. The "queries" are the best segmentation tool I've seen in all the marketing automation platforms. You can segment by anything you imagine: profile data, behaviour data and relational table data." Higher Logic Marketing Automation Enterprise powered by Real Magnet is a marketing platform that integrates the capabilities you need to create cross-channel marketing campaigns. "Real Magnet is an Excellent Product: We can segment our markets for various campaigns and through the analytics in Real Magnet we can follow up with those most interested in the training, service or product we are providing. I also love the monthly reports we can run with regard to our activities and the ability to identify accounts to which promotions need to be charged. There customer support is amazing. One very excellent feature is that we can contact our members with HTML, text and mobile - our mobile opens have increased to 35% of our members." Omnisend is the all-in-one ecommerce marketing automation platform that helps you sell more by converting your visitors and retaining your customers. Reach your customers with personalised messages using our powerful automation workflows and boost your sales. Grow your subscriber list with wide variety of signup forms and send converting newsletters created with the easy-to-use editor. Omnisend works with all ecommerce platforms including Shopify, Bigcommerce, Magento, WooCommerce and others. "Useful software to create campaigns through email: You simply need to drag mails inside the application so that they are stored inside the system. That speeds up the copying of emails within the application, since you do not need to waste time copying one by one manually. The templates available for campaigns are visually attractive and also have a striking structure for the user. Send newsletters or responses to users does not require much effort, you can create and send responses almost automatically without losing quality in the attention you are giving to the client." "Great tool that allows our marketing team to be independent: Exponea connects multiple online marketing tools into a single instrument, thus allowing us to be independent of a data department and other analytics tools. We simply need a graphic designer and marketer who are able to send custom emails, assign credits with scenarios, or create complex reactivation campaigns based on data. With extensive analytics we are able to monitor A/B test results, reach, and other performance metrics of each activity in real-time." "Powerful features, but value priced: It offers marketing automation features found in systems like HubSpot or InfusionSoft but for a fraction of the price. The drip marketing automation features meet our needs. And, their featureset has been increasing and growing over time. The quality of the system has been very solid, uptime and responsiveness is good, and features work as designed. Email deliverability has been very good as well." Salesfusion is the all-you-need marketing automation solution built to work for you. With a curated toolset that includes highly intuitive campaign builders, advanced automations and superior reporting, we focus on what matters most to marketers -- streamlining campaign creation, understanding engagement, improving conversion, and driving more revenue. Whether you’re a do-er, dreamer, thinker or techie, Salesfusion is the new standard in marketing automation. "GOOD core marketing automation capabilities GREAT support: Platform is relatively easy to use and navigate. It provides the core functionality for marketing automation and allowed us to expand beyond basic email marketing with lead scoring, event management, landing pages, etc. Also liked their business model a lot. Other vendors we evaluated were looking to charge per user (marketing and sales users) which would have limited our adoption and use of the product. Salesfusion unlimited user price model allowed us to get the functionality we needed and have the freedom to scale it throughout the company as we grew. New folks who come from using other solutions are always surprised that we can 'just add a user' when needed. During our initial evaluation, their native CRM integrations were a big plus as well. Other vendors were relying on 3rd party solutions or had limited access to the underlying CRM data. Connecting our marketing data to CRM was key for us to be effective and allows for easy targeting based on our full set of CRM data. CRM connection is clearly an area of investment for them as they continue to improve with dynamic lists and the upcoming campaign object support which will further allow us to leverage CRM data to drive our campaigns and effectively measure ROI. Finally, the item that has been the biggest positive for us is the support the Salesfusion team provides. The program is not without its issues and learning curve, but having the support team there to help makes us confident we can solve our problems quickly. Everyone I have interacted with in support has always been courteous and out to help us solve our issues as fast as possible. The support model and team Salesfusion has is definitely a huge asset for them." RD Station is a marketing automation platform simply designed to help businesses grow. The software allows you to attract visitors to your website, turn them into leads and nurture them into customers, all in one place. "Extremely satisfied: RD Station has changed my way of generating leads and business. In addition to the software being very easy to use, the team of RD specialists is always close to the client, giving valuable information and tips to improve our results." Hi there! Would you like help finding solutions similar to ThriveHive?